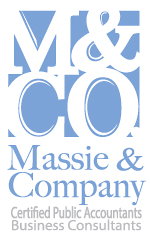 Welcome to Massie & Company, PLLC, we’re a locally owned certified public accounting firm dedicated to serving construction business owners. Our goal is to form long term relationships with our clients and their stakeholders. We strive to build these relationships by providing the highest quality accounting, tax, and consulting services through helping our clients solve their problems today and recognize opportunities for future developments for tomorrow.